Good to see some posts appearing on this blog. 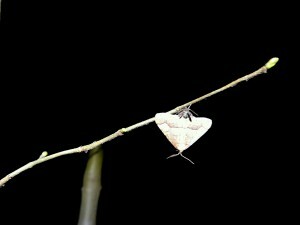 Would be great to see more, I know there are a lot of social media forums these days but not everyone is a ‘follower’ of them all and also some people don’t have smart phones so this blog is still a way to get information out to fellow moth-ers. Doesn’t have to be a really in-depth post and still worth listing stuff on here even if you feel you haven’t caught anything exciting. News about other things such as upcoming meetings will also appear here (as well as the other forums) if I hear anything is going on. Onto moth news from my patch. There have been some pretty good spells of mild weather meaning that the traps have been on quite a few times. Moth numbers have been very good, in fact I would say it has been one of the best springs for recording for many years at this site. Being able to run lights on many occasions has meant I have been able to try all manner of light types. All did well. The 7w LED continued to bring in good numbers although more recently the catches dropped off as the Geometer species declined and the Noctuids increased, seems to work better for the weaker flyers. 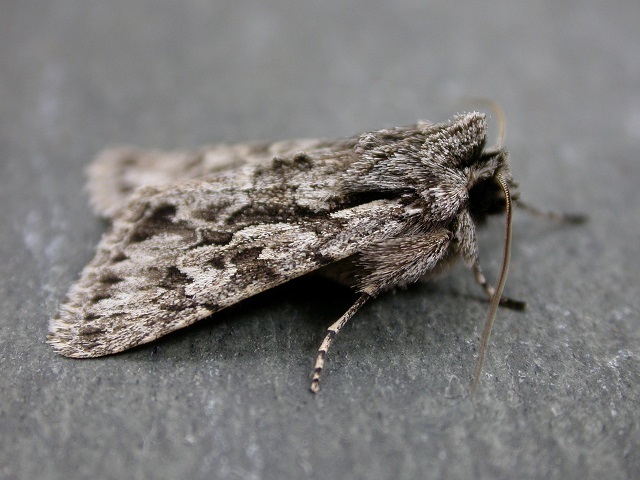 As examples of the high counts recorded, I had 100+ March moth on 12th Feb, 64 Small brindled beauty on 28th Feb, 300+ Small Quaker plus 250+ Common quaker on 27th March (all these to several traps running various bulb types). Small and Common quaker numbers were in fact averaging over 100 of both species on many nights in March. 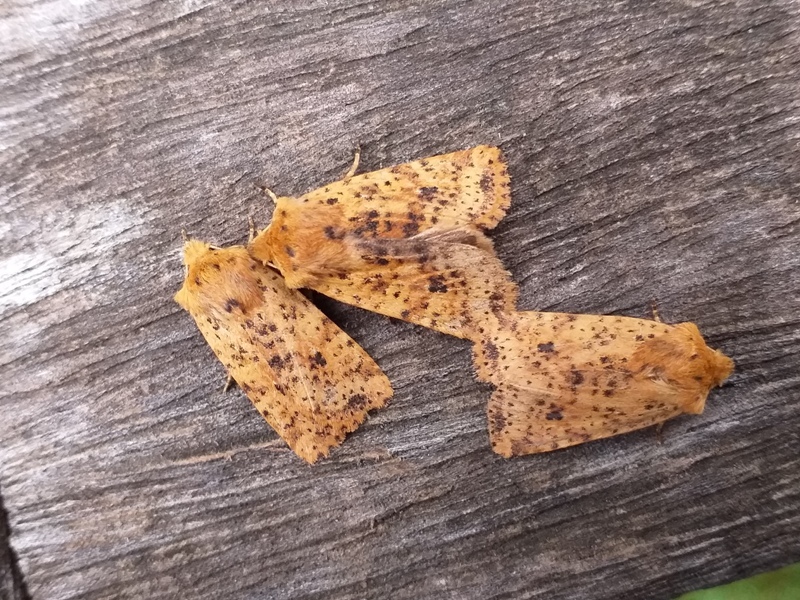 Nothing too oustanding of note seen, although Dotted chestnut has done well with a maximum of 3 on the 26th March, Water carpet (2) and Lead-coloured drab (2) also around. Had an early Least black arches on 27th March. 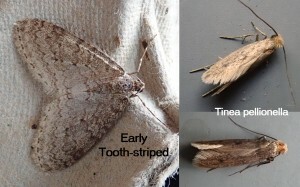 Micros have included Agonopterix scopariella, umbellana and ocellana. All the purple Eriocranias seen so far have been sangii, seems the commonest with me. At the months end both Frosted green and Lunar marbled brown showed up, right on cue. Thank you for your report Paul. Coastal catches tend to be a little slower than a few miles inland but better than central East Anglia. The weather has been variable with a mix of cold weather spells, warm days with cold night and some overall warm spells. 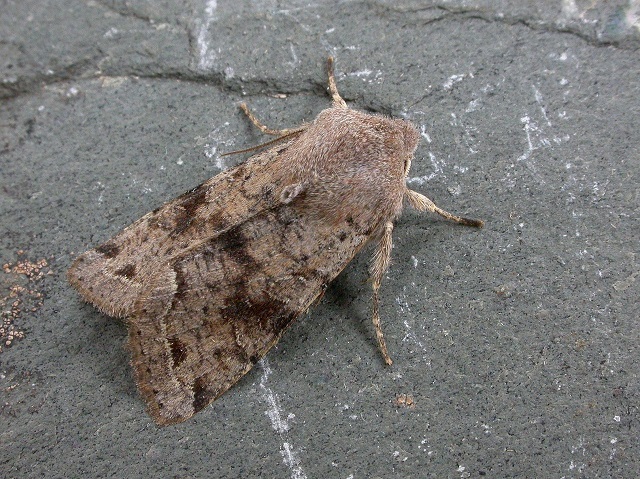 The few January moths were Early Moth, Winter Moth, Spring Usher, Chestnut and Dark Chestnut. Dotted Chestnut seems to appear from hibernation a lot latter and did not appear here until March. 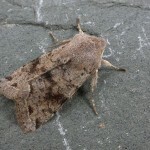 A mild spell in Mid-February brought out Acleris cristana, March Moth, Dotted Border, Pale Brindled Beauty and Oak Beauty. Orthosia species firsts were cruda on 16th, gothica on 17th, cerasi on 22nd and incerta on 23rd. March brought the Twin-spotted on 2nd, Powdered on 26th and Lead-coloured on 27th. 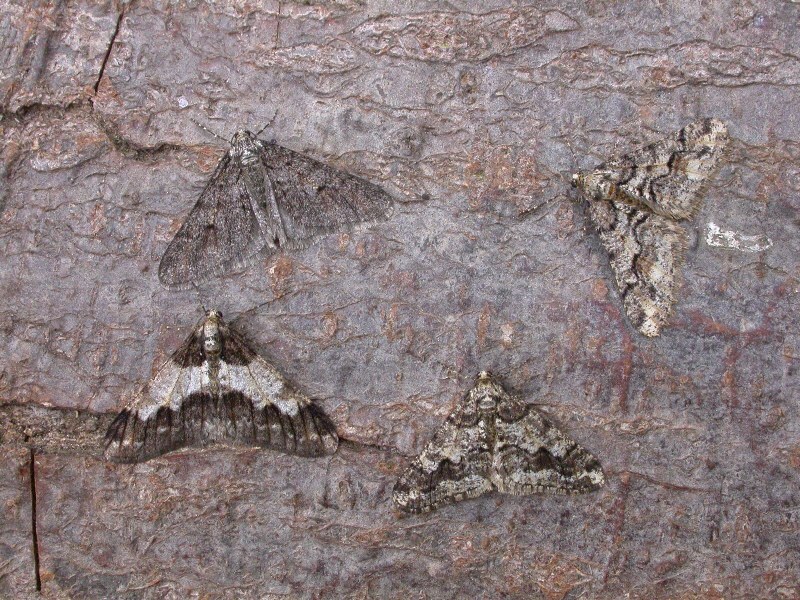 Apart from the first two days March was cold until around 17th when from then some good mothing weather was found and some early emergences such as the Scorched Carpet on 21st and Nutmeg on 22nd. 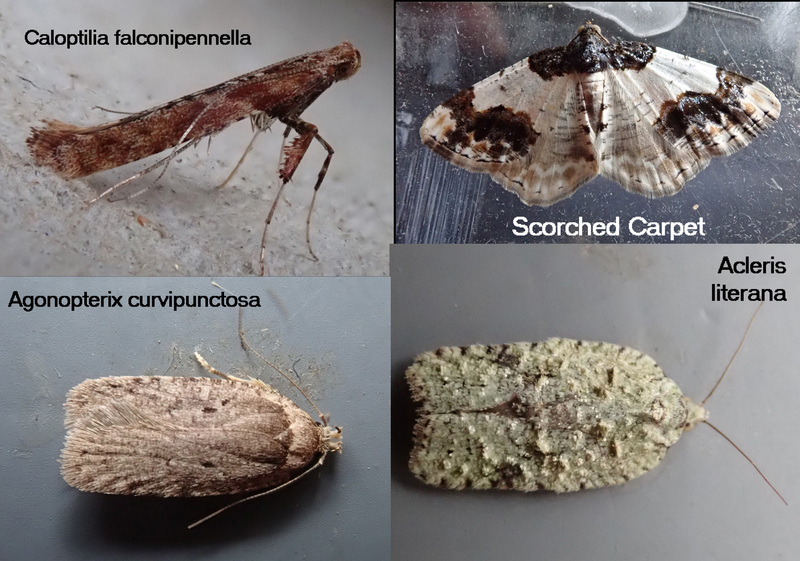 I had a good selection of Gracillarids during March, Calybites phasianipennella, Caloptilia semifascia, C. elongella and C. falconipennella which seems to be becoming quite frequent. As usual Agonopterix also come out of hibernation and I have had heracliana, alstromeriana, arenella, scopariella ocellana and curvipunctosa also becoming a regular. I took a further Acleris literana on 21st which has also been captured elsewhere on the Suffolk coast. This seems to be a regular immigrant now and bodes well for potential establishment at additional locations in Suffolk. The moth season is always slow to get going for me but, with reasonable conditions of late, the traps been out most nights this week. Both Small and Common Quaker have made up the bulk of the catch (there were 50 of each on 27th), with a supporting cast of Hebrew Character, Clouded Drab, Twin-spotted Quaker and Early Grey. 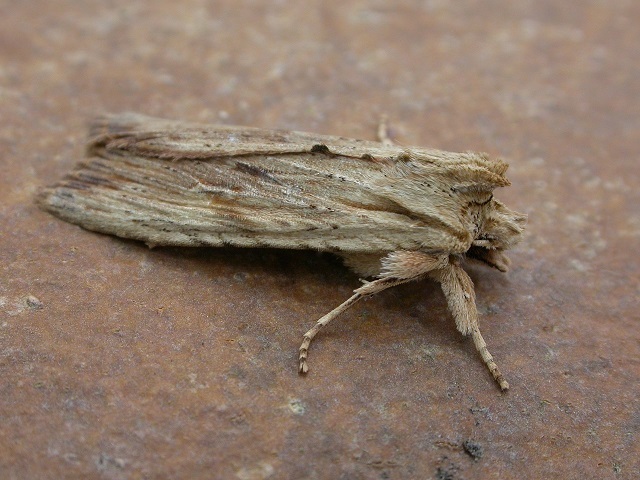 A Pale Pinion (19th), Oak Beauty (27th), and Brindled Beauty (29th) were best. 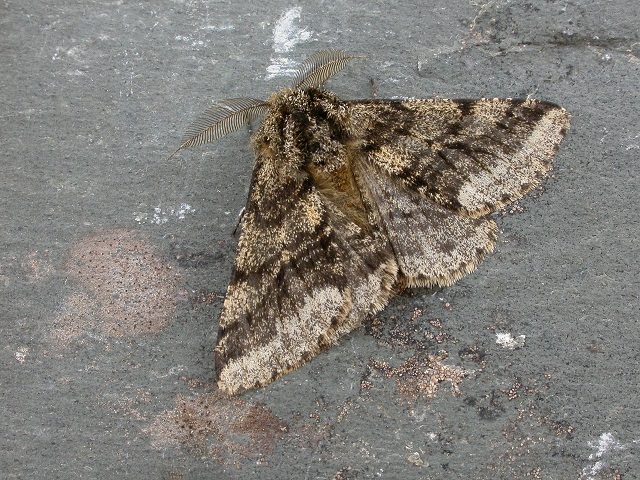 Last night (30th) delivered my first pugs of the year – one each of Brindled and Double-striped. 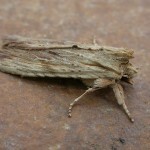 Also noted last night was the second record this month of the aptly named March Moth. If there was a downside, I guess it would be that Dotted Chestnut still seems to elude me. Away from the garden, a day trip to Wolves Wood on Fri 29th was rewarded with about half-a-dozen Light Orange Underwings – a species I had not specifically looked for at this site for a few years now. From social media, I see that Neil faired much better than me when he saw at least 26 the next day (Sat 30th). With a cool, unsettled week to start April, I think the trap will be staying in the shed until things improve again. Just a reminder that it is less than 2 weeks till the indoor meeting. Can all those who haven’t told me already who are thinking of eating in the pub at lunchtime please let me know as I will be contacting them at the end of the week with numbers. Also, currently I only have 3 people who have committed to giving a presentation. It would be great if there were more, if not it will be a very short day! It’s our day as members of the group to highlight what we have been up to, even garden trap reports will be of interest. If there are difficulties in putting together a digital presentation then members can just bring along a series of photos which can be made into a powerpoint presentation on the day. Hope you have all been trying trapping in the recent very mild spell when conditions have allowed, although quite a number of nights have been clear and frosty. Most of the common spring species are now on the wing with me and there have even been migrants in some parts of the UK. I’ve had a lot of interest from fellow moth-ers about the 7w LED bulb I have been trialing, so many that I’ve decided to put the link up on the blog here to Paul Batty’s web site where you can get them. See below. After the warm spring-like day yesterday I ran a couple of traps for a while after dusk in the woodland, but the temperature dropped off so quickly with clear skies that not much came to the traps. 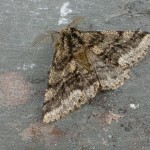 A walk round the woodland with the torch was far more rewarding with Dotted Border seen in abundance. Males perched on twigs were everywhere with a few seen paired up with females. During the hour and half I was there, 15 moths of 4 species came to the 2 traps (1 x actinic & 1 x UV LED). But by torchlight I counted at least 40 Dotted Border, all within 100 meters of the traps and not one came to the lights! Just as a follow-up to Neil’s addendum to his post on 13th January. I tried out my new 7w UV LED bulb yesterday evening (5th Feb) in the nearby woodland. I set up 2 traps, my old 40w actinic and the new 7w UV LED about 50 meters apart. The LED performed the best with higher numbers. For example in the 1 and half hours I had them running (5.15 to 6.45) I recorded 37 Pale Brindled Beauty 12 of which came to the actinic and 25 to the LED which also attracted first Dotted Border of the year plus Chestnut and a few Spring Usher and Satellite. So, there were 32 moths at the LED and 17 at the actinic, but strangely enough not a single Tortricodes alternella. Here are the details for the group’s annual indoor event. Doors will open at 9.30am for setting up, refreshments and general chat plus looking at exhibits. The meeting will officially start from around 10am. Some of the group will then be lunching in a local pub just down the road from around 12.30pm onwards. Please let me know if you intend to eat at the pub well before the meeting day so I can phone in advance to let them know numbers. Or you can bring your own food along, the hall can be left open for those doing this. The meeting will continue until we have run out of talks etc, possibly around 4.30-5pm. This year the meeting will be slightly different, as we have a guest speaker. 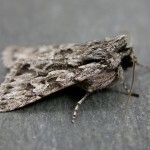 Graham Geen from the Norfolk Moth Group will be giving us a talk on Breckland moths. Graham has recently researched and written an article on the breckland moth species for British Wildlife magazine, due to be published in the near future. Following Graham’s talk there will be the chance for members to show presentations. A digital projector will be available for those with digital presentations or images. This year if members could restrict their talks to 30 minutes duration then that will allow us to show what everyone has produced as well as the chance to ask questions. Tables will also be provided for those with exhibits. It would be useful if you are intending on giving a presentation to let me know. I hope to do a demonstration of a moth dissection for those who are interested, a technique that is not as hard as it first appears. Refreshments (tea, coffee and cake/biscuits) will be provided. Unfortunately the cost of hiring the hall has risen this year so there will be a request for contributions towards this.